BIG ANNOUNCEMENT!! We are officially an award-winning school and we’re very excited about it! 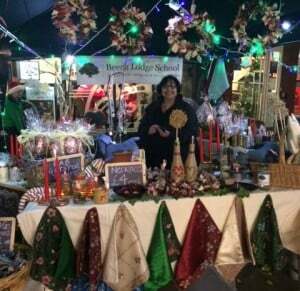 Thank you to all parents and staff of the Beech Lodge School PTA Craft Club who created all the wonderful gifts and goodies that we sold on our stall last night at the Marlow Xmas Fair. The children did a great job helping to sell items and helped us to raise lots of money and win THE BEST STALL at the Fair! A very special big thank you must go to Zeba who was the inspiration behind it all and well done to Miss Barnes, Miss Best, Mrs Cassidy, Mr Moloney, Miss Waterson, Miss Wells, Kevin, Michal and Pat who worked tirelessly to get everything ready in time and so beautifully. Thank you also to everyone who came and bought lots of lovely Xmas gifts at the same time raising money for our PTA to purchase outdoor gym equipment! The Mayor of Marlow bestowed the worthy honour on us and we are all very proud of our new status as an ‘Award Winning School’! Woop Woop! 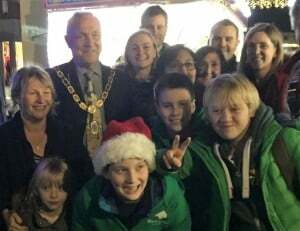 The Mayor of Marlow with the BL crew! ← New Member of Advisory Board!